US President Donald Trump visited the Western Wall shortly after arriving in Israel Monday afternoon. President Trump wore a black kippah during his visit to the holy site. He was presented with a Jewish prayer book and a Bible by the Rabbi of the Western Wall, Rabbi Shmuel Rabinovitch. The President prayed at the site and placed a handwritten note between the 2,000 year old Herodian stones. 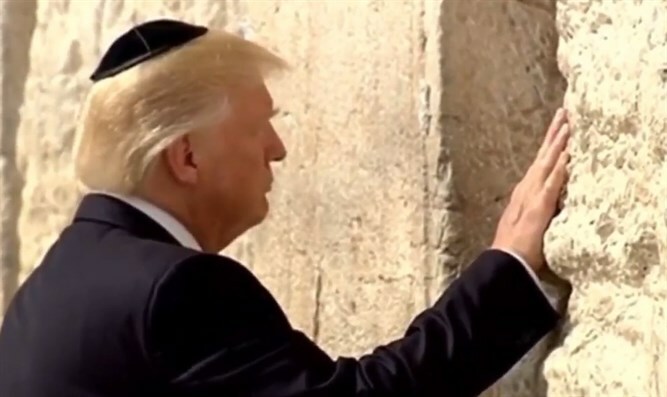 Trump is the first US president to visit the Western Wall while in office. Trump's Jewish daughter, Ivanka, prayed at the women's section of the Western Wall Plaza.